October already, I can hardly believe Summer is slowly ending! On the other hand I am looking forward to the new season and redecorating my home for Autumn. I love to bring in some darker colours, maybe paint a wall, bring in some carpets and light the candles around the home a bit earlier to let their fragrances fill the home. I don't know about you but I love my candles to be more than just a candle, I like to see them as small accessories for my home and I want them to fit my interior. No surprise you won't see any colourful candles or scented candles other then just simply black, white or a muted brownish autumn colour at my home. Finding new scented candles, room sprays or diffusers that fit my taste can be hard if you love them to look as good as possible. When we got the opportunity to work with Alessi and create some images of 'The Five Seasons' collection I was happy to find out their new collection would perfectly fit our homes. Not only from a design point of view, also the use of plant based wax and fragrances as bergamot, vetiver, cedar wood and moss to name a few, are really the kind of fragrances I love. The idea of the home fragrance and its possible reinterpretation through the language of design has fascinated Alessi since the mid-1980s and this new chapter dedicated to home fragrances is now written by our very own Dutch Marcel Wanders. 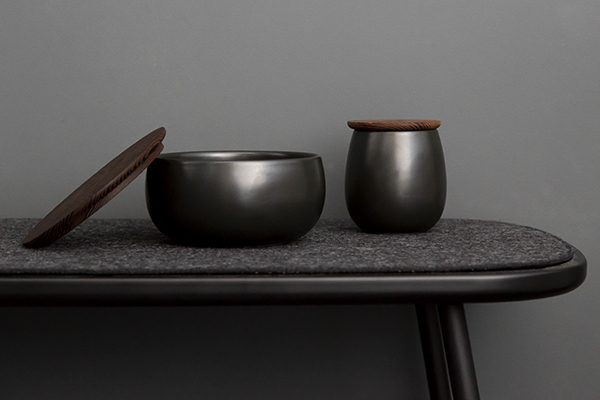 A collection of organic formed objects is created, using precious materials like porcelain and mahogany, we see a perfectly shaped ash wood tray, lava stones, and other elements inspired by nature. The scents were created with the advice of one of the most important perfume makers in Grasse, the world’s perfume capital known for its cultivation of flowers and sophisticated production techniques. The personalities of the five new fragrances are suggested by their highly evocative names referring to the four seasons: “Brrr” mature, fresh and bright as Winter, with notes of bergamot, lily of the valley and musk. “Ahhh” young and delicate like Spring with the freshness of a mystical garden and with notes of cardamom, hyacinth and vetiver. “Hmm” stands for Summer, warm and inviting with a bouquet of figs, red fruits and mixed woods. Complex, dense, smokey and sensual “Grrr” has a mix of incense, cedar wood and moss like a perfect Autumn day. 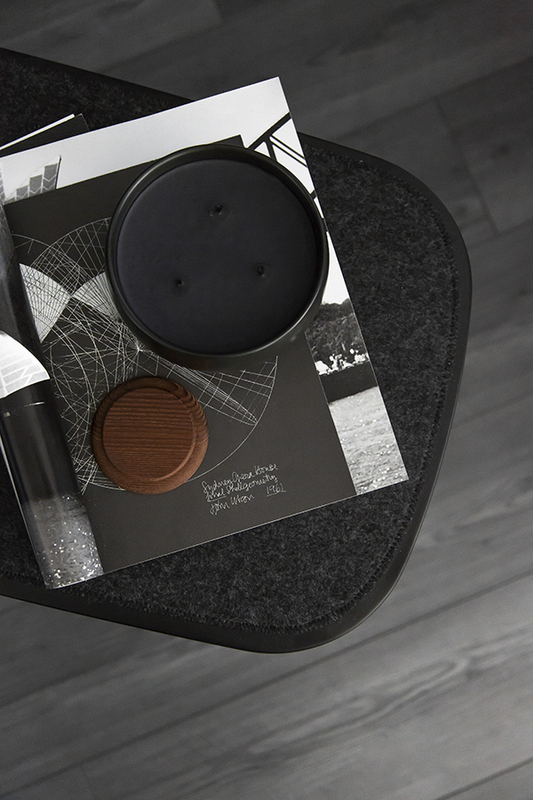 The lava stone fragrance diffuser was a bit special to me, not only because I love lava in general but the black lava stone chosen for “The Five Seasons” comes from my beloved Sardinia. 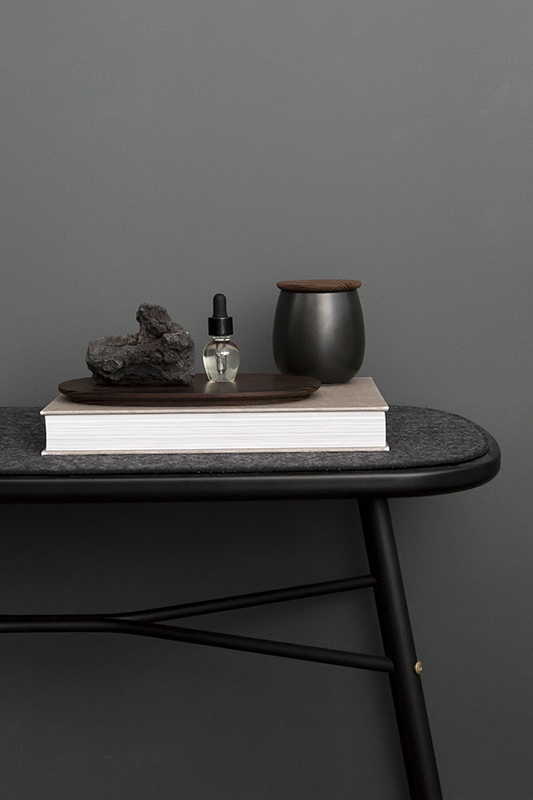 A small ash wood tray accommodates the lava stone and an essential oil and dropper. This composition is offered exclusively for “Shhh”, the most intriguing collection that is mysterious, spiritual, obscure and enveloping, with hints of eucalyptus, rose and patchouli. 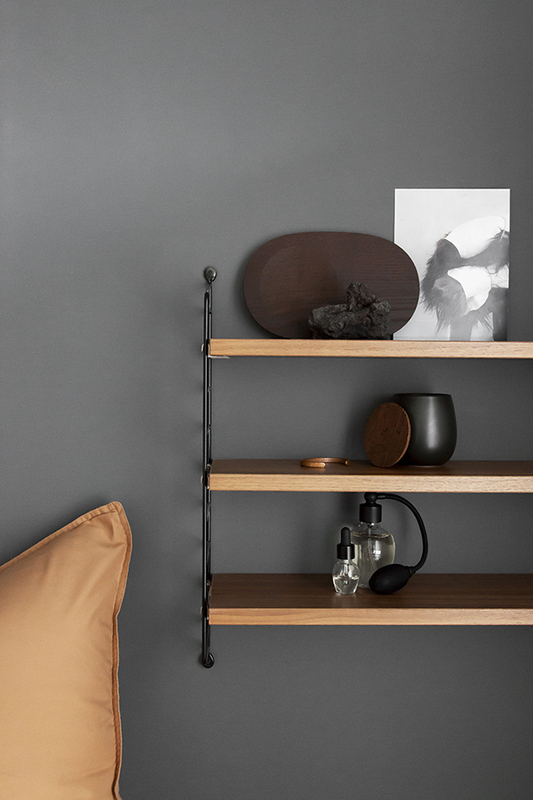 According to Alessi, the Mahogany leaf fragrance diffuser is perhaps the piece that best captures the spirit of the collection. The porcelain bowl, white for the four seasons and black for the season of transcendence, is circular with a slightly rounded base. 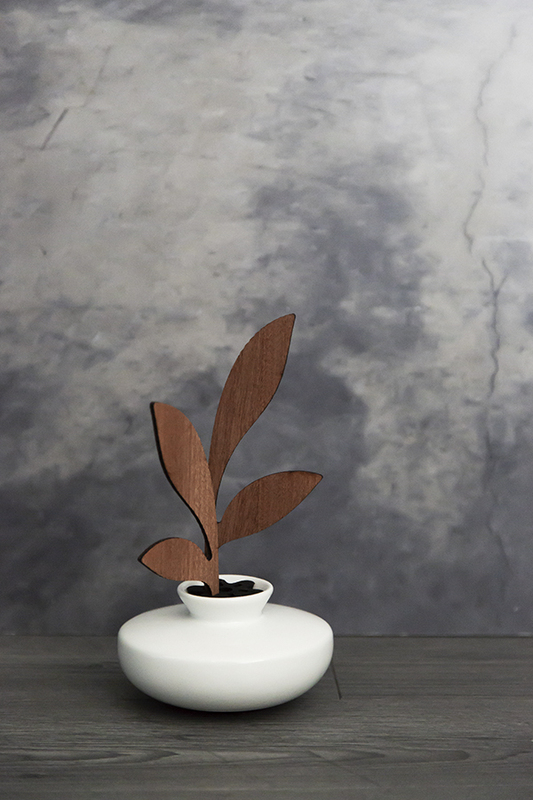 The leaves used to diffuse a different scent for each season, are made from sapele mahogany, chosen for its porosity and colour, which enhances the silhouette of the design. There are five different leaves to choose from, each one paired with a different fragrance, six leaves can be used in the diffuser at the same time, we loved to use two of the 'Ahhh'. The Scented candle come in two different sizes in black or white porcelain bowls, last for around 40 hours. 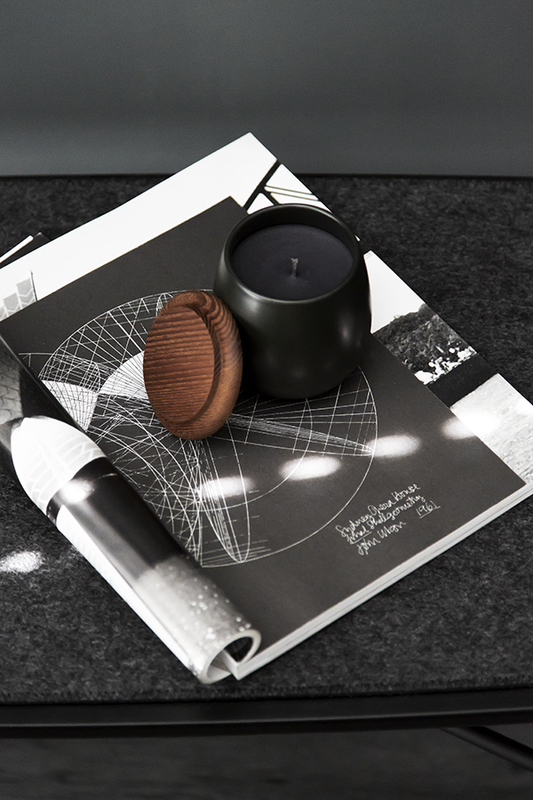 Each candle is closed with a decorated ash wood lid made by artisans from the Valle Strona, an area of Lake Orta close to Alessi’s headquarter. The lid can also be used as a base. Last but not least, instead of burning candles I often use Room spray, and I personally love it. The Five Seasons Room spray, pictured in the first picture evokes memories of the original glass perfume bottles and its atomiser produces a perfect puff of perfume. The use of Room spray comes from an age-old ritual to treat oneself to a wonderful moment of calm, something still relevant for many of us these days as well.